Negotiating credit card debt is an incredibly valuable strategy to help you get out of debt faster. Not only does negotiating debt help lower your payments, it also helps you take control of your finances where before you may have felt powerless. When you have a ton of credit card debt, it can feel like you have no power against a large credit card company. 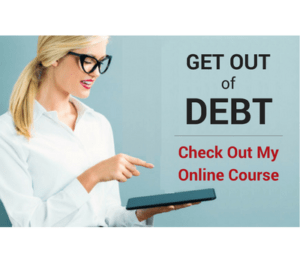 The debt weighs on you tremendously to the point you're not sure what to do. But you DO have some power you can use to better your situation, no matter how much you owe. Negotiating credit card debt might sound a little difficult and intimidating. But once you know how to do it, it's a great way to take away some of the financial pressure and speed up getting out of debt for good! Below I'll show you the most important steps to negotiate credit card debt and free yourself from the demon plastic forever! We don't have to worry about paying (and stressing over) another bill every month. Money doesn't get wasted paying interest on a credit card balance. We don't have to worry about overspending- EVER! Peace of mind- no debt causing us daily stress. I know there are people who will tell you credit cards are fine as long as you use them responsibly. But the statistics show that most people don't do that. I haven't found any good reason to use a credit card for anything, and I doubt I ever will. Cash is king at our house! 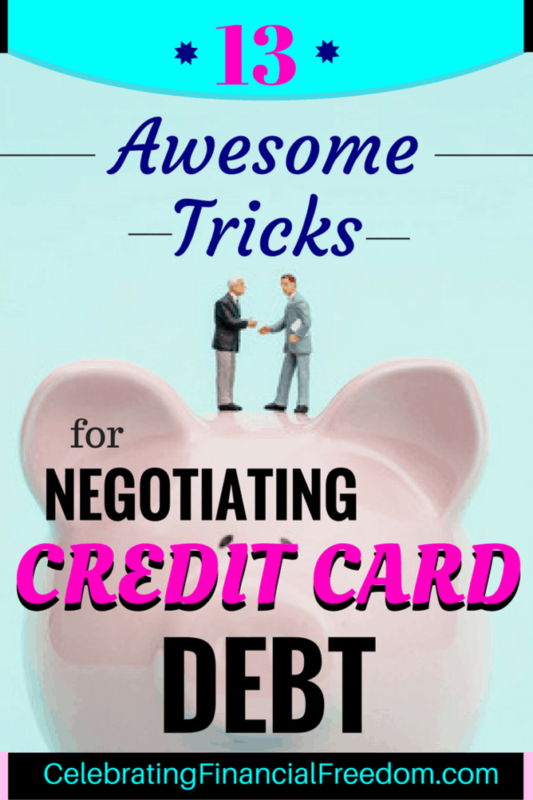 So if you've decided it's time to get out of debt and you want get rid of your credit cards for good, here are some excellent tips on how to negotiate credit card debt and get it to a more manageable level. Not every tip will work every single time, but the more you use them the more likely they are to be successful! We all get credit card offers in the mail. Instead of chucking them in the trash, you should hang on to these for a while. In fact, save as many of them as you can get your hands on, they will come in handy later. Many of them offer a zero interest rate if you will transfer your balances to their card. 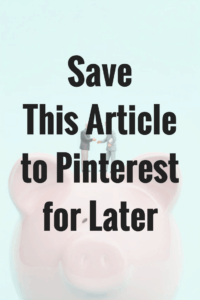 Otherwise they will offer a low interest rate for a certain time period. Obviously, these offers are designed to get your business. The great thing is you can make this work to your advantage when negotiating credit card debt. 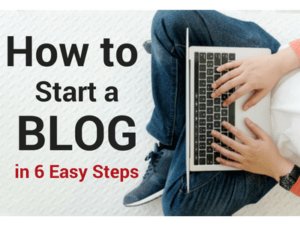 I'll show you how to take advantage of that later in this post. Notes- Here you can write who you spoke to, what new terms you negotiated, etc. According to Forbes, zombie debt is years old, and is entirely owned by a debt collection agency. Many times this zombie debt is past the statute of limitations, and you may not be held legally responsible for it. One way to find out whether you're past the statute of limitations is to request a Debt Verification letter from your creditor. You can ask for one over the phone or by fax. If you want to request a debt verification letter by fax, here is a template you can use for that. If you don't know what the statute of limitations is for zombie credit card debt in your state, you can go here to find out the details. If you're having trouble paying down your debt, it's best to be proactive. You'll likely have more success with debt negotiation if you try to settle your debt before it goes to collections. However, there is no way to know how a creditor will react once you make the call. Some will be willing to work with you, and some will not make any effort at all. You should be careful about how much you tell them when negotiating your debt. If you lost your job or have had a family emergency, they may be more willing to work with you for a while. But if you tell them you just can't afford to pay because you have too much debt, they may be less likely to help out. If you have a job loss, illness, or family emergency, you may be able to negotiate a forbearance. Forbearance simply means the credit card company will allow you to stop paying for a limited amount of time until you can get back on your feet. Be careful though, your balance may still accrue interest during that time, increasing your debt further. If your debt has been turned over to collections you may have a little more bargaining power working in your favor. By the time a debt gets to collections, they realize they're not likely to get much (if any) of that money back. If this is the case, you can offer them much less than what you actually owe, and they make take you up on the offer. This can work especially well if your bad debt has been sold to an outside collections company. These companies typically buy bad debt for pennies on the dollar. You could start your negotiations by offering them 25-30 cents on the dollar and work up from there. However, you should be willing to pay the negotiated amount as a lump sum. Most will not let you work out a payment plan. I believe it's a good idea to start negotiating your debt by attacking the smallest balance first. This is because if you have never negotiated debt before, it's good to get your feet wet where the stakes are smaller. Once you get to the larger debts you'll have more negotiating experience and (hopefully) more chance for success! Place a call to the customer service number for your credit card. Tell them you'd like to get a lower interest rate and your annual fee eliminated if you have one. If they ask why, tell them it will better help you meet your financial obligations to them without any interruptions. If they hesitate to offer you a deal, tell them you're considering other cards with no annual fee and lower interest rates. Tell them you'll transfer your balance to one of those cards if they can't negotiate a better deal with you. If they still refuse, ask if you can talk to a supervisor. Sometimes the first person that answers the phone may not have the power to get you a lower interest rate. Someone higher up usually has the authority to negotiate better terms with no problem. If they refuse to help, then don't hesitate to transfer your balance to a card at another company with a lower interest rate and no annual fee. When you make the call, don't take no for an answer. If you're easily discouraged by their “no”, then it saves them money. Be pleasant, but firm. Don't talk from a position of weakness. For example: If you say “I was wondering if maybe you could give me a lower interest rate?”, that sounds wimpy and probably won't work. Speak from a position of strength: “I want you to give me a lower interest rate on my credit card and eliminate the annual fee. 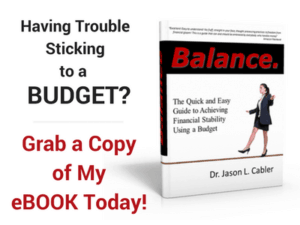 If you can't help me out, I'll be floating my balance to another credit card that has offered me a lower interest rate.” You might even mention specifically some of the offers you received in the mail from other companies. If you sound passive and unconfident, they will roll right over you. You might even want to practice the call beforehand, rehearsing what you'll say and how you'll say it. Of course, this technique may not work every single time, depending on your payment history and other factors. but if you're firm and insist upon getting what you called for, you'll find that it works quite often. You should understand this phone call might be a long one because they will put you on hold multiple times and even try to sell you alternate products. Remember to be patient, nicely insisting on getting what you came for. You'll find that negotiating a lower interest rate with this technique works more often than not. This kind of call (as with any call to a credit card company's customer service department) may last as long as 30 minutes to an hour. But it's a call that can literally save you hundreds, even thousands of dollars depending on your balance. That, my friends will help you pay off your debt that much quicker and get you further down that road to financial freedom. Remember, the ultimate goal is debt freedom and a life free from credit cards! Any time you negotiate a deal for a lower interest rate or to pay off debt, get the details in writing. A verbal agreement over the phone means absolutely nothing. Once you get it in writing, keep that piece of paper and refer back to it as needed to make sure they're living up to the agreement. If you tell them you'll transfer your balance if they don't help you out, you should be willing to live up to your word. Don't be afraid to do business with someone else if you don't get what you want. You can almost always get a better deal when you float your balance to another card at another company. This is where those credit card offers you got in the mail come in handy. Need to get rid of your credit card debt? Here are 13 tricks to negotiate credit card debt & ditch the cards for good! If you negotiate a plan for paying off the debt, whether it's a lump sum or a payment plan, NEVER give them access to your bank account! This is a recipe for disaster! Some collection companies will monitor that account and make a huge withdrawal at the worst possible time. Some will “accidentally” take out more than you agreed to. Getting that straightened out and getting your money back will be an exercise in futility. Avoid giving them access at all costs! As you pay off each debt, call the credit card company and close the account. This may be a long phone call, but it's worth it to have the credit cards out of your life. They will do everything they can to keep you as a customer, offering incentives and other goodies. You will probably spend 30 minutes or more on the phone and end up talking to 2-3 people, but they will eventually close the account once they know you mean business. Have them send confirmation in writing that the account is paid in full and closed. Keep that document forever so they can't contact you later saying you owe more money on that account. Anytime a debt is forgiven, anything over $600 must be reported by the creditor to the IRS. According to tax laws, debt forgiven is classified as income so you will have to pay taxes on that at tax time. Be sure to take that into consideration whenever you're negotiating your debt. There will be consequences on April 15. I believe the best thing you can do with any credit card is to cut it up and never use it again. They are just not necessary. Just because everybody tells you you need one doesn't make it true. Angie and I haven't had a credit card in over 10 years and I can tell you from personal experience it's one of the best financial decisions we every made! So if you want to do better financially and eventually get out of debt, it starts with taking action. It starts with thinking and doing things differently than all the other broke people out there. Negotiating your credit card debt is just one tool you can use to start the process. Question: Have you ever successfully negotiated a debt? How easy/hard was it? Leave a comment on our Facebook page or below and tell me about your experience!